The latest trend in interior design is striped carpet. Now available in ranges to suit all budgets; fitted on your staircase they can transform a functional hallway into a statement of modern style. 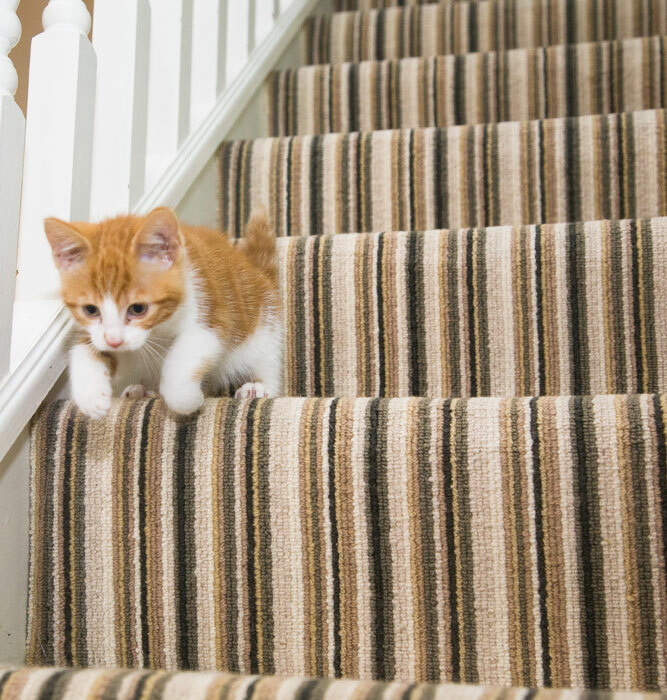 Striped carpet can be fully fitted as like any standard carpet or cut to your preferred width, with a stitched edge to make a stair runner.